A long time ago, a far wiser man than I came to the conclusion that all good things must come to an end; and as such, ‘Dark Eyes’ the adventures of Molly O’Sullivan, Liv Chenka and The Doctor have reached their conclusion. 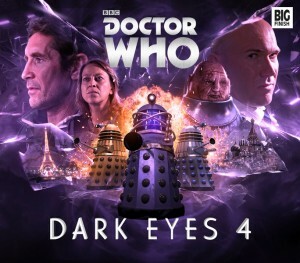 It’s been one heck of an adventure, an adrenaline fuelled rollercoaster ride through time that’s stretched from one end of the galaxy to the other and been packed full of thrills and excitement; and the final part of the ‘Dark Eyes’ saga doesn’t disappoint and ensures that the series gets the ending, that it not only needed, but also deserves. 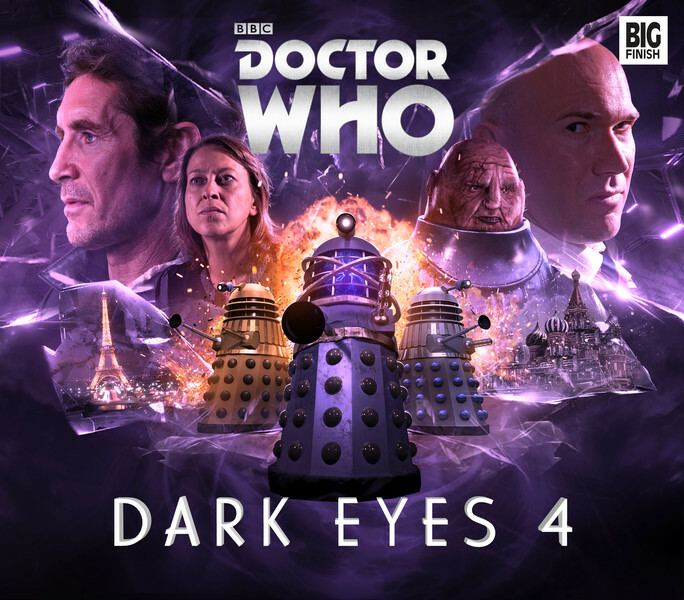 The cover is something of a giveaway in terms of what to expect from the four separate, yet inextricably linked chapters, that throw Daleks, Sontarans and The Master into the fray, which ensure that The Doctor and Liv end up battling for their lives while desperately trying to play catch-up with their adversaries from the beginning until the final moments of the last story . The opening salvo, and events, of the Groundhog Day inspired, nineteen twenties London time loop tale. ‘A Life in the Day’ catapult The Doctor and Liv to Paris in ‘The Monster of Montmartre’ in which they become embroiled in a sinister and strange club that attracts the criminal and artistic fraternities in their droves, that’s owned and run by an old “associate” of the Doctor’s. From there, Liv and The Doctor are catapulted into a twisted, new future, ‘Master of the Daleks’ , a future involving a devastated Earth, the Sontarans, The Master a long over-due reunion and the Daleks which culminates in the only way it can. In full blown war. And then, in ‘Eye of Darkness’, the race is finally run, as The Doctor, Liv and Molly are finally confronted by the inescapable, and horrifying, truth of The Eminence and their role in its creation, a truth that ends, as does so much in life, with pain, sacrifice and death.